The Winner of the ‘Win a Years Worth of Colour on us’ is! 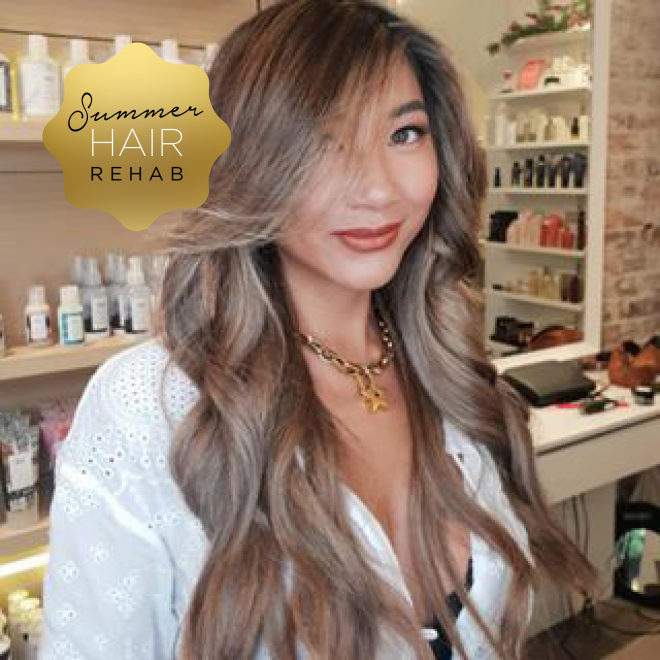 We are super excited to announce our Summer Hair Rehab promotion WINNER!!! Natasha Guterres – it is you! Congratulations, we look forward to your ‘year of colour’ journey! When choosing to come to Barney Martin know that you are in the safest of hands, the salon made it in the Harpers Bazzar US edition of one of the best salons in the World, yup we are stoked! 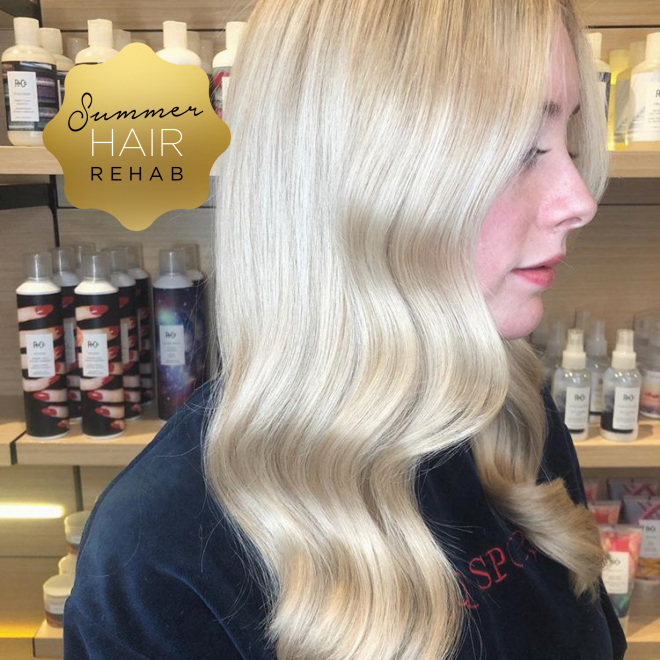 Locally, the gorgeous girls at Gritty Pretty have had some nice things to say about us http://grittypretty.com/hair/sydneys-top-hair-salons/ whether it’s colour, cut or rehab for your stressed tresses our uber talented team can sort out any hair issues! We use Wella Colour in the salon, Wella have now introduced their 3 stage Wellaplex system. When your colourist mixes your colour they will add in some Wellaplex Bond Maker (step 1) into your mixed colour, then it’s applied as normal. The Wellaplex Bond Maker has a matching pH with lightening and colour products, enabling optimal lift and penetration of dye molecules. Wellaplex Bond Stabilizer (step 2) is applied at the basin the Bond Stabilizer re-balances the pH factor after chemical service. The result is a stronger hair structure with no compromise on lightening or colour result. The final step is Wellaplex Take home to maintain the hair’s health and integrity and to give you the longest lasting, truest colour possible. 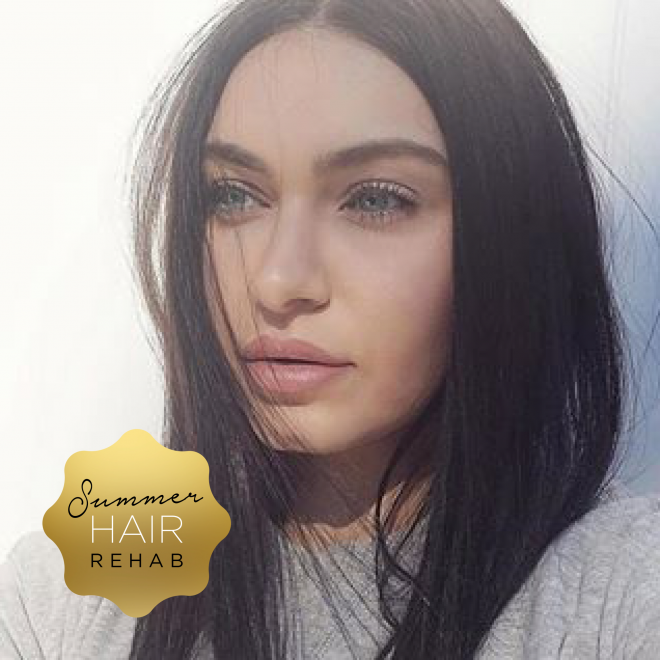 Rehab your hair at home! 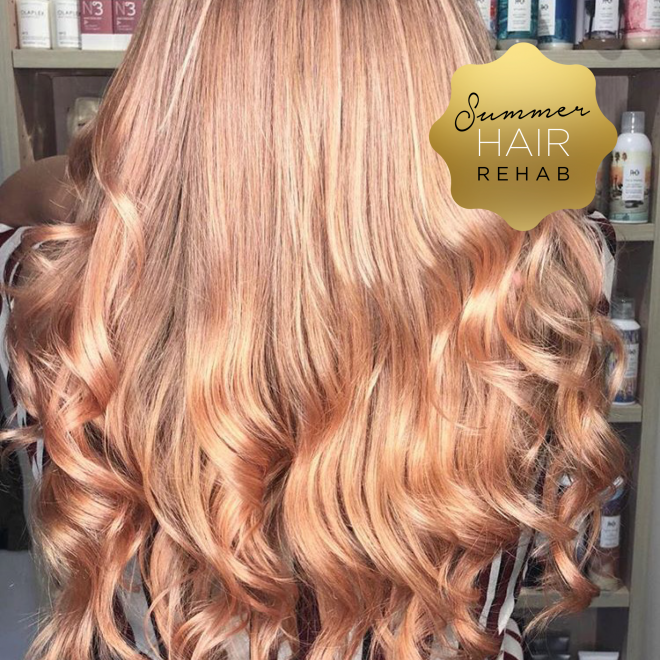 Each product works by targeting the inner hair structure where amino-acid bonds within the hair have been broken due to chemical processes, mechanical or environmental stresses. Wellaplex reconstructs inner hair bonds for stronger hair. Bold or subtle hair changes can now be made with the assurance that hair will be healthier, flexible and more manageable. Clever huh! To enter you must have a Wella Plex in salon service. Prize is not transferable or redeemable for cash, products or other salon services. Employees and their immediate families of Barney Martin Hair / BM2 are not eligible to enter. No other discounts will apply when redeeming this prize. The Winner will be notified by email or phone and published on our website and social media channels on Thursday 14th March 2019. Where reasonable attempts to contact the Winner fail the salon will select another winner. If after 2 months the prize is not claimed it will be regarded as a forfeit. The Winner must fully claim the prize by the end of the 12 month period 15th March 2020. By participating, entrants give Barney Martin Hair / BM2 permission to use their name, photographs and videos, in connection with the competition and for future promotion and marketing purposes and waive any claims to royalty, right or remuneration for such use. If the Winner does not accept these Terms and Conditions the prize will be forfeited. This is the ‘science’ bit from Wella if you’re that way inclined! Introducing its latest scientific innovation, new WELLAPLEX with Opti pH System, an exclusive strengthening treatment that helps to reconstruct inner hair bonds for stronger hair** guaranteeing the best lifting results on the market. New WELLAPLEX is the best partner for Wella Professionals colour products during lightening and colour services. It’s designed to work in perfect synergy. The collection consists of 3 new products. 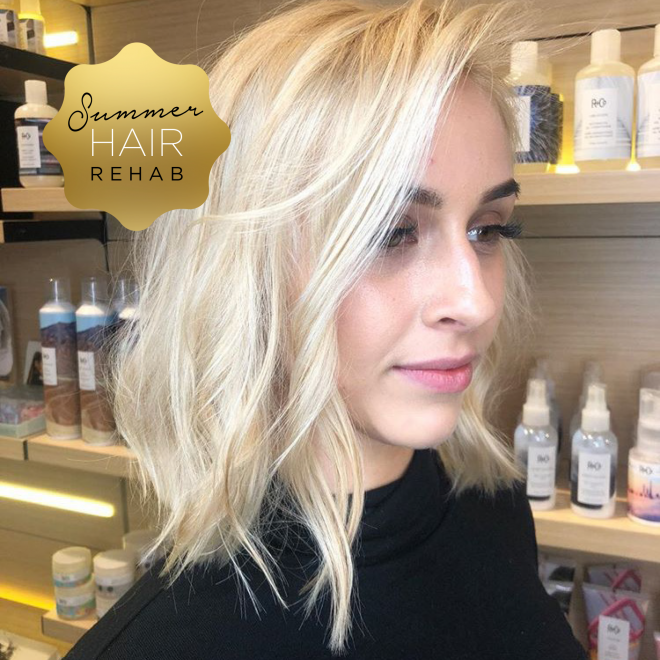 No1 Bond Maker helps to create bonds within the hair during lightening or colour services; No2 Bond Stabilizer further strengthens the bonds, re-balances pH and strengthens the hair structure after chemical treatment. Finally, No3 Hair Stabilizer which is for use at home and helps to keep the hair strong, smooth and soft until the next WELLAPLEX treatment. 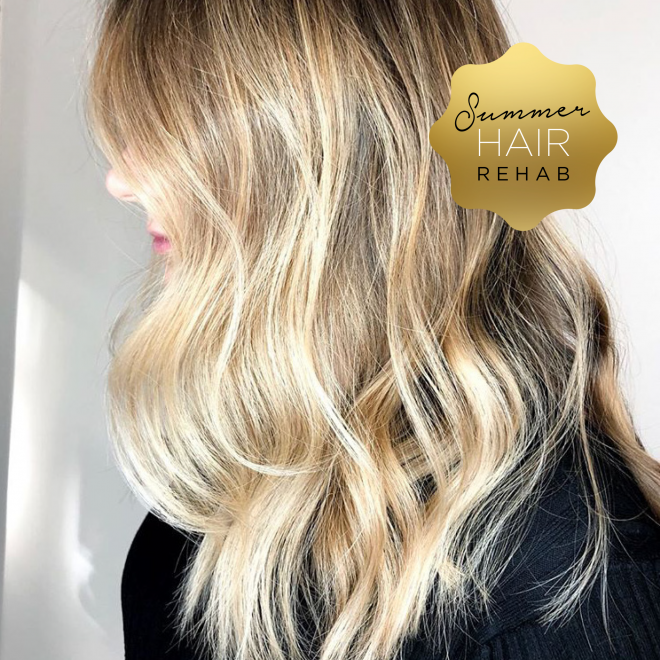 Each product works by targeting the inner hair structure where amino-acid bonds within the hair have been broken due to chemical processes, mechanical or environmental stresses. WELLAPLEX reconstructs inner hair bonds for stronger hair. Bold or subtle hair changes can now be made with the assurance that hair will be healthier, flexible and more manageable. 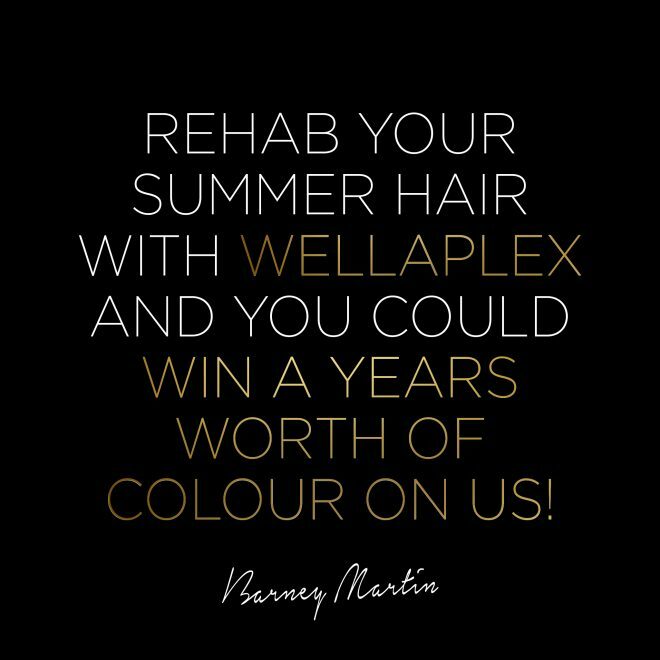 WELLAPLEX strengthens hair from start to finish, meaning more of you can now say yes to colour. An optimal pH is key for the best colour results; lightening and oxidative colour products have a high pH (~9-10) which is necessary to open the hair cuticles, thus enabling penetration of lifting and colour molecules. No1 Bond Maker has a matching pH with lightening and colour products, enabling optimal lift and penetration of dye molecules, and No2 Bond Stabilizer rebalances the pH factor after chemical service. The result is a stronger hair structure with no compromise on lightening or colour result. © 2019 Barney Martin, PTY LTD.